Hilda is one of the leaders and founders of the Amnesia, and she believes that the Hollow Night needs brand new rules and more freedom. She is interested in the Indulgence of Rending and the Autonomic Nerves. She often says she aims to become a Re-Birth so she can destroy the "old leaders" of the world with her own hands. But in her own story she plans to become a "spear" that will pierce through the Door of Resurrection that lies at the bottom of the Abyss. This way she can accomplish what she calls The True Hazy Banquet. She is being used by Kuon for the sake of his unknown goals. Each character who fights her determines her fate: she is either devoured, her Vessel is pierced, or she is simply defeated. In the ending of Carmine's story, the equipment Hilda needed to become a Re-Birth disappears (supposedly stolen by Kuon). 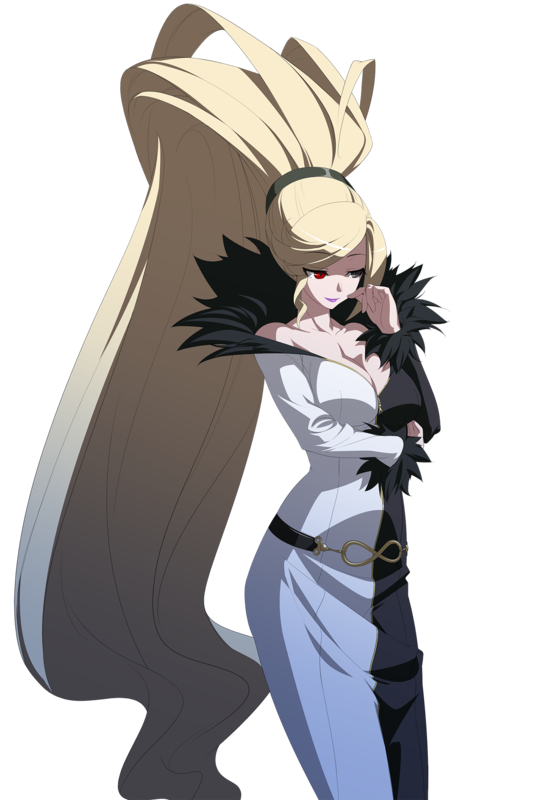 At first glance, Hilda made me think of Arcana Heart boss, Mildred. 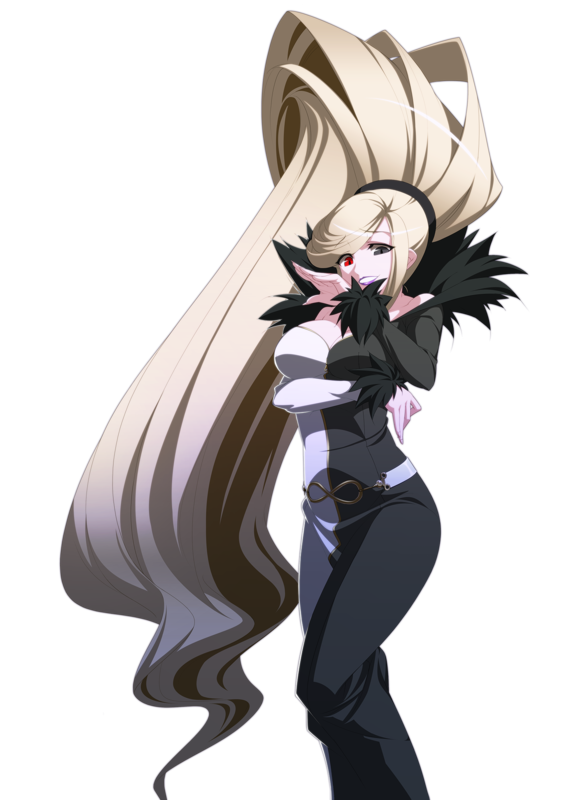 However, Hilda is very different from Mildred... and is probably one of the coolest female bosses I've seen in a 2D fighter. 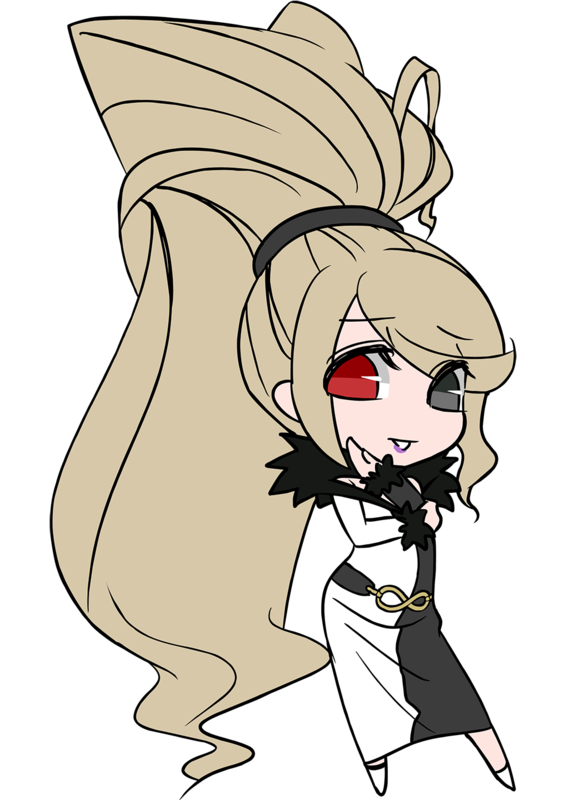 And as a 2D fighting game boss, I figured her fighting style would be super cheesy and cheap... but she's actually not too bad. 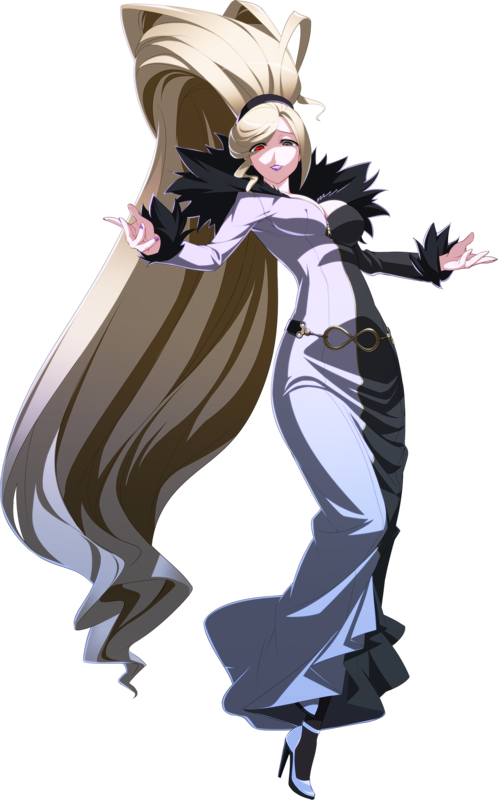 She is one of those characters that "summons" projectiles from every direction with very minimal effort, but she does so in a certain style and charisma that makes her moves pretty fun to watch (and use). Cool animations for sure. 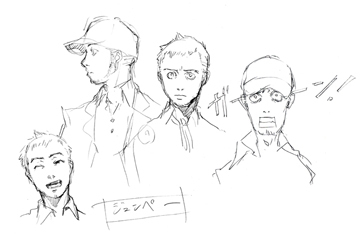 Now I probably wouldn't say all that if I didn't like her visual design... which I do. Her dual-colored dress reminds me a bit of Mature's original look, but she definitely looks pretty original. And once again, this chick's definitely got some personality which also shines through in her fighting style in-game (big points there). All in all, very solid design.